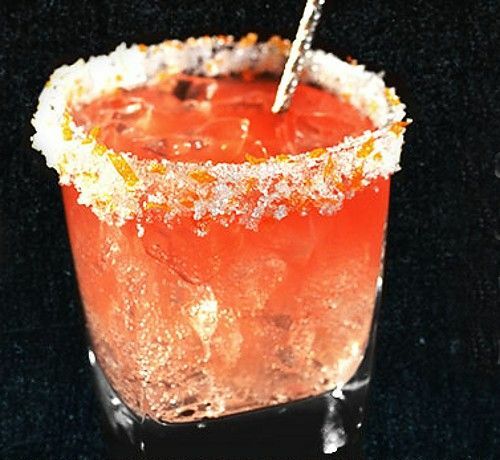 The Revel ‘N’ Devil Ginger cocktail features the traditional orange and lime flavors of a margarita blended with ginger beer for an added edge of spice. With a rim made from a combination of sugar and fruit zest, it’s a drink that looks as exciting as it tastes. Coat the rim of a rocks glass in lime juice, then dip it in a mixture of sugar and fruit zest (orange, lime or both). Fill the glass with ice. Fill a shaker with ice, too, and pour in the tequila, blood orange juice and lime juice. Shake well and strain into the glass over ice. Top off with the ginger beer.